When most people think of orthodontics offices, they think it's just a place to get your teeth straightened. Dr. Saoly Benson, a board certified orthodontist, hopes to change that way of thinking with her new practice, The Art of Braces! Like choosing a plastic surgeon, any orthodontist can straighten your teeth and give you a functional bite, but wouldn't you want to choose the doctor who you believe will give you the best aesthetic result? An artist at heart, Dr. Benson wishes for her patients to see her as an artist first, and a clinician second. The Art of Braces seeks to provide efficient and comfortable orthodontic treatment with a strong emphasis on aesthetics and the art of smile design. In addition, Dr. Benson uses the latest technology in orthodontics which ultimately means faster treatment times, exceptional comfort, and more importantly, the most beautiful smiles. Moreover what separates Dr. Benson from the rest is so much more then her keen eye for detail. A strong believer in lifelong learning, Dr. Benson continues to attend numerous continuing education courses in her commitment to provide the best care to her patients. Under the direction of world renowned orthodontist Dr. Tom Pitts, Dr. Benson has studied the principles of contemporary facial and smile driven orthodontics in order to create smiles that will enhance and add more youth as faces age. The Art of Braces celebrates Dr. Benson's longtime vision of a place where she can express her artistic passion both for orthodontics as well as photography. 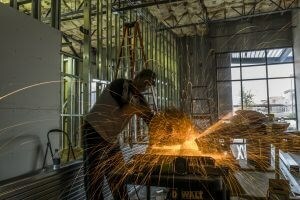 A visit to The Art of Braces is not only one to get your teeth straightened, but also a visit to an art gallery. Adorning the walls are landscapes capturing the beauty of mother earth, as seen through the lens of Dr. Benson's camera. An avid adventurer, Dr. Benson has also combined her love of photography and adrenaline to capture some Kodak moments that may get some hearts racing! Dr. Benson's passion for aesthetic beauty shows up not only in her patients' smiles, but also in her new practice. When you visit her office, you will be immersed in art, harmony, and balance. Every detail from the custom designed waiting room furniture to each individual plank of wood on the walls has been hand selected and/or designed by Dr. Benson herself. 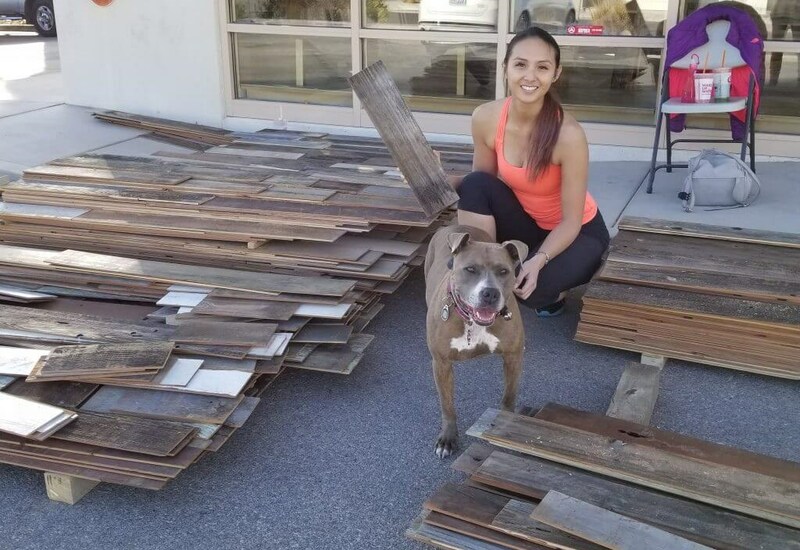 Dr. Benson hand selecting each individual plank of reclaimed wood with guest @pennidog. Above all, Dr. Benson would like to acknowledge the love, help, and support of her many friends and loved ones who have helped along the way, from the many trips to the tile, paint, and wood stores, to spending a whole day helping her construct the cabinets. The Art of Braces was built with so much passion and love, and she would like to share the grand opening celebration with the community who has helped her build her practice from the ground up. 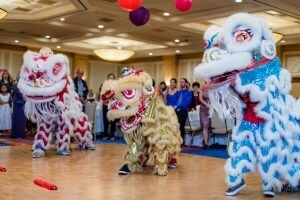 Patrons can enjoy a family fun evening filled with Lion Dancers, delicious food, and beautiful art! 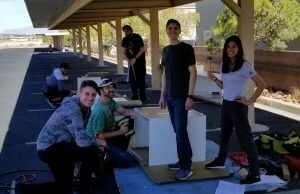 Some of the many friends who came out to spend an entire Saturday to help Dr. Benson build cabinets. For more information regarding The Art of Braces grand opening, please visit our Facebook page!